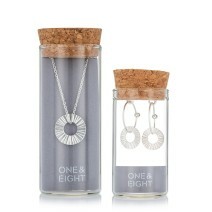 Pretty and modern silver circular charmson silver hoops, beautifully presented in a reusable glass bottle. 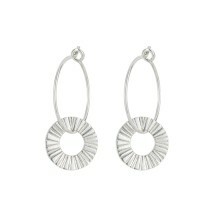 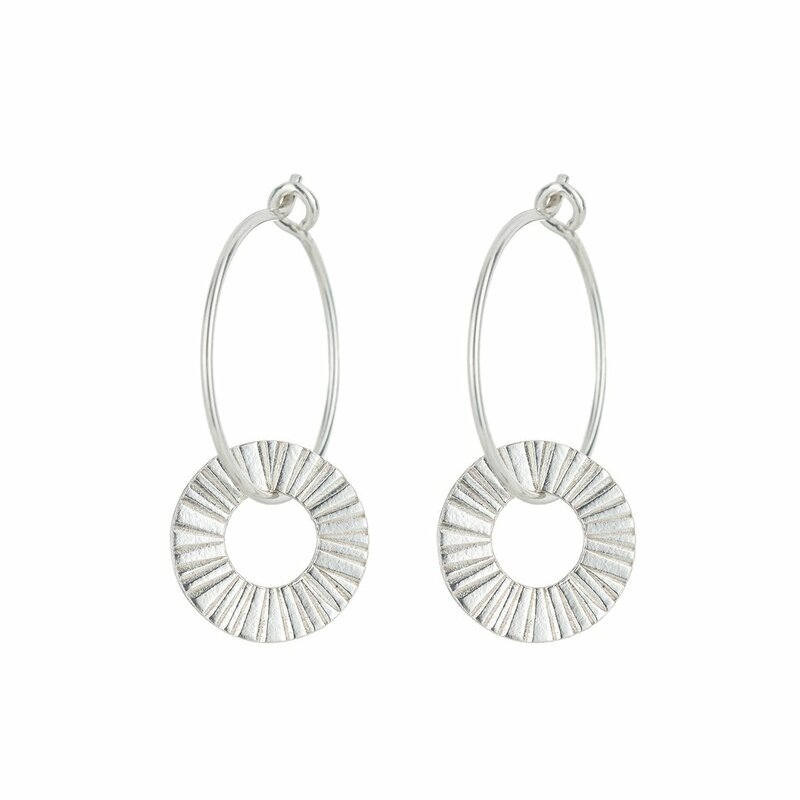 The silver circular charm measures approximately 10mm. 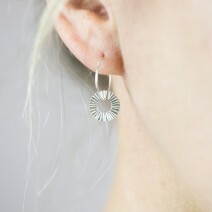 The sterling silver hoops measure 15mm and have a hook fastening.